We know that data deduplication (removing duplicate data) is a key success factor of a CRM system. Paribus Discovery was designed and created to identify and remove the duplicate data in your CRM. Why do we have duplicate data? 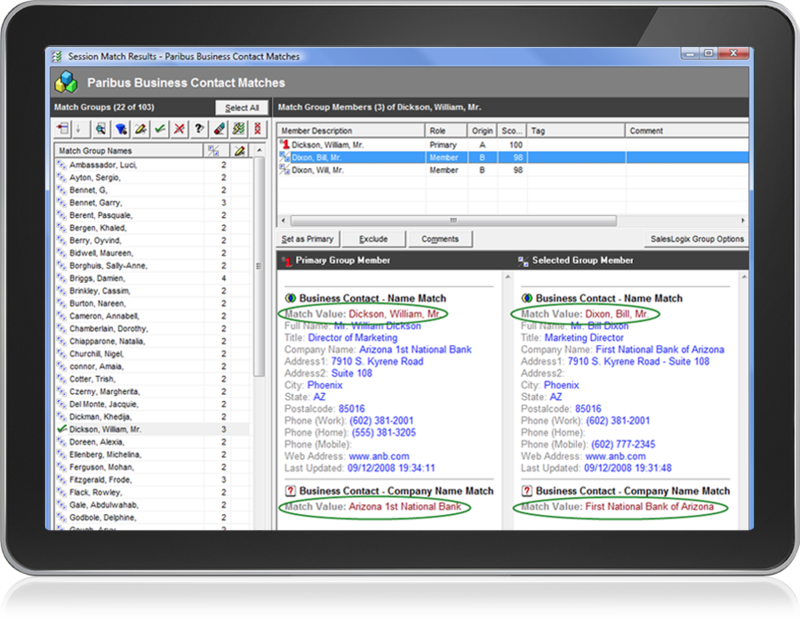 Duplicate data exists in every CRM system. The question is how much do you have? Paribus can Identify the potential duplicates, which can then be resolved, if appropriate. Paribus Discovery finds matching data for you to action.